Which is the best Anti-Virus software to use in Windows OS? Name the latest top 5 Anti Virus software to use in Windows? I am very much concerned about my PC security, so I want to install the best Anti-Virus software in my Windows PC, Which is the best Anti-Virus software to use in Windows OS? Can you name the top 5 Anti-Virus software to use in Windows? Do we have to install 3rd party Anti-virus software in Windows 8 OS? Or the Security feature is increased in Window 8 which doesnÂ’t need any Anti-Virus to be installed? Unable to install anti-virus in my computer. Best Antivirus for Windows 7 which does not affect the performance of PC? Re: Which is the best Anti-Virus software to use in Windows OS? Name the latest top 5 Anti Virus software to use in Windows? Anti-Virus Is The Software Used To Keep The P.C Protected From Viruses ; Bug's ; Mall-ware Attack ; Miscellaneous Attacks !! We Have Plenty Of Anti-Virus Software's Available In The Market . . . If You Have Internet To Your P.C You Must Have Internet Protection Too . . .!! Kaspersky Antivirus And Avast ! Are The Best Among All Other Anti-Virus Software's . . .
5. Norton Anti-Virus. . . . But [COLOR=#3366CC !important]we all know[/COLOR] that as earlier Windows OS versions, Windows 7 is also prone to [COLOR=#3366CC !important]virus and spyware[/COLOR] attacks. And to stay free from viruses, it the most basic and fundamental task of any Windows user to find the antivirus software programs. So, I thought to research best antivirus software for Windows 7 and end up with some really great options that provided maximum security against viruses, malwares and several other threats. Computer security is a major issues nowadays.The best antivirus would be that which provides you with an options of auto updates for the new malwares and worms etc.There are brands like ESSET and AVG which provides you with this kind of feature. kaspersky antivirus software is the best. Anti virus is the Software which protect`s your system from attack of Virus attacks. So you need to use a Antivirus which performance well and can protect your system for long time. Avast is one among those antivirus which protect your System from Virus attacks. 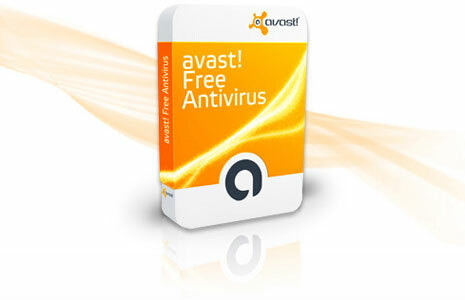 Avast a free antivirus software which is available in internet. You can Download Avast antivirus from internet and protect your System from virus attacks. I have personally experienced with Avast and i am satisfied with its performance. After Downloading the antivirus from net you need to regularly Update it . So that it can perform well with out any problem. Other wise you will be getting a popup as Your antivirus is out of date etc..
All the antivirus are good and you can get it from the website. There will be much confusion in the usage of the anti virus programs in the computer so the best anti virus is Avast anti virus which provides maximum security for the system and also kaspersky anti virus is also top among the anti virus programs and the top five are Avast,Kaspersky,Quick heal,e scan and Avira are the top rated anti virus programs and softwares at present. Anti Virus is must for any System to Protect from Virus attacks. You can download it and install it with Licensed Key so that you can Update it from time to time. check the anti virus and download using system in safe way. here's some antivirus available in Indian market. you can buy any of these. choose packs as per your requirement. don't forget to upgrade the antivirus versions after specific time period of validation. hope this information will help you a lot. Any anti virus is good or the best as long it is updated. If you have an internet connection to your computer then you are free to select any anti virus you like as it will update its data base. When the anti virus updates its data base it get the latest virus definitions that are released daily. Note: Your Anti-virus will work greatly and perfectly if it is updated. Most of the users don't update their anti-virus and suffer from the infection by virus. !Quick Heal is the Most Power Full Anti-Virus & High Secured! There is a large no of antivirus programs on the internet which work very well ahs have some special feature..
you need not worry much about the pc security issues if you are using windows 7 because it has inbuilt software for the same named as Microsoft security essential. the most used and trusted is Norton so i would recommend for it. here is the list of best anti viruses for window operating system. So these are the best antivirus for windows os. In todays running life we all need pc .To maintain it is also our main responsiblity.So have to have a good antivirus is big question for everyone.we all know that Antivirus is a software that which prevents and remove malware. I will suggest you to go with avira it is less heavy as compare to others in the list...and its the best..
All the above antivirus are good. You just need to update the virus database. Note: By using quickheal it may also delete windows files if they are infected k. You need to be careful by using the software or else all your files will be deleted k.
2.Norton is the software which works efficiently maximum on net based apps k.
3.Rest all softwares deletes the files which are infected but not the windows files k.
In windows operating system there are many antivirus are there but i am giving best antivirus following given below.. There are many best antivirus software's available to install in the Windows OS. The good antivirus software among all of them is 'Avast Antivirus'. The top 5 antivirus software's are as follow. there are five top most antivirus that can you use. It's not possible to say that any specific antivirus is perfect ,it's depend on the use.I give you some best antivirus list you can purchase any with full licence version . Re: Which is the best Anti-Virus software to use in Windows OS? Name the top 5 Anti Virus software to use in Windows? Which is the best software in Windows to protect files and folders? What is GameSalad application? Can we really create Windows phone games using that software? How to use it? Am not able to use the Virtual Ware software in Windows 8 OS, What to do now?